Whether or not you should, or can, keep the family home in divorce is a question we frequently deal with as Florida divorce attorneys. For many, while it is obvious that selling the home and splitting the proceeds might be the fairest, most sustainable option, for others, there are concerns about children perhaps having a difficult time dealing with divorce and no longer having access to the house they’ve been living in, or one or both individuals may not want to deal with selling the property and potentially publicly advertising that they are selling their home because they are getting divorced. 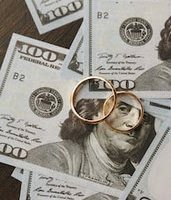 Still, regardless of any and all concerns, the most important analysis you can do in deciding what is and is not important to fight over in the divorce is whether you can afford to keep the home in terms of monthly expenses on your own. If you find that you can afford to stay in the home, the other issue you will need to deal with is the deed and how you plan to remove the other spouse’s name from it. Monthly Analysis: Is Keeping The Home Affordable? We emphasize that clients take a hard look at whether they can afford to keep the family home as early as possible in the divorce process so that they can weigh that interest against all of the other interests that are important to them in the negotiation process. To do this, you have to go through a monthly analysis with your attorney and break down the monthly expenses–in comparison to everything else–including income, other expenses, and support payments, to see if it is even affordable. What you don’t want to do is work with your attorney for months to win the home in negotiations, only to find that you can’t keep it anyway, and end up selling and splitting the proceeds. The deed is another issue that needs to be addressed. Some choose to refinance their mortgage so that their spouse is at least financially unattached to the house, but keep their name on the deed. However, if you eventually sell the house, issues may arise, as your ex’s name is still on the deed, and they may prove to be uncooperative. Truthfully, if you are keeping the family home, it is best to remove your ex’s name from the deed. Not only is this ‘cleaner’ if you want to eventually sell the house, but it also ensures that your ex cuts those financial and legal liability ties in case an issue comes up and/or they eventually want to purchase their own property, etc. Alternatively, a divorce agreement can outline a shared ownership plan and what happens if the home is sold, but still, financial and legal liability issues can still arise for the ex who is no longer living in the home. Regardless of your preference, you need to work with your attorney to ensure that you have a divorce agreement with strong language. Contact our Orlando divorce attorneys at Arwani Law Firm, PLLC today to discuss your options.